What's the Best Food Truck POS System in 2018? Looking for the best point-of-sale (POS) system for food truck trucks in 2018? For years we’ve recommended the same platform most food vendors use on-board their trucks: Square. Why? Square is an extremely easy and fast way to start accepting credit / debit payments on a truck. You can get started on the cheap with nothing more than an iPad and a dongle to accept swiped payments. After getting registered you’re (typically) charged 2.75% of each debit or credit card transaction. This means if you had a $12 ticket, you would pay $.33 to accept the payment. This is a seemingly small price to pay for the opportunity to sell your product in an increasing cashless world. In 2018, we continue to recommend Square as a way to accept payments for part-time or smaller food vendors. The platform is easy to use and helps you to start accept credit / debit payments fast. But if you operate a full-time food truck generating $10,000 or more in swiped transactions, we recommend the platform designed from the ground up for professional mobile food owners Food Empire POS. The problem with the Square model for food trucks is when you reach full-time status and that 2.75% fee per swipe begins cutting into profit. For example, if you regularly bring in $15,000 in swiped transactions per month using Square, you will pay $412.50 in fees each month. That adds up to $4,950 annually just to accept credit or debit payments. If you make more, you pay more. Many food truck owners don’t realize how the seemingly insignificant 2.75% can quickly add up. If you’re doing $10,000 in monthly swiped transactions, click here to learn more about Food Empire POS. Businesses doing $10,000 or more per month in sales, will almost always save money with our flat-monthly rate and you’ll get a whole lot more in return (more on that below). Many of our current customers report saving between $200 – $800 per month after making the switch. Watch the video below to learn what it’s like to make the switch from our customers. As your business grows to $12,000, $15,000, $18,000 or more in monthly revenues you’ll be saving even more money every month. You’ll also be getting a lot of other benefits like having a super-powerful mobile data plan that’s powered by Verizon installed on your truck so you no longer need to worry about slow or offline payments. You can also view sales analytics and monitor inventory levels using through the back-office, manage employee time cards, setup loyalty programs or digital coupons, and a whole lot more with the platform at no added-charge. Which POS Platform is Right for You? Different food trucks and concession businesses have different goals. If your goal is to make a little extra money on the weekend or you operate a small hot dog cart part-time making less than $10,000 monthly with no plans for growth, Square continues to be a terrific option. The platform is easy to get setup and the benefit of being able to accept credit cards or debit payments is a no brainer. You’ll generate more sales by accepting this form of payment while offering more convenience for customers. If this sounds like you, fantastic! Sign up for Square right now and then continue running a profitable business. As mentioned in the previous section, once you hit the $10,000 monthly swiped sales figure, Food Empire POS will save you money. But price is not the only consideration. Unlike other POS systems that have were built to serve other industries like retail stores or bars with very different needs. 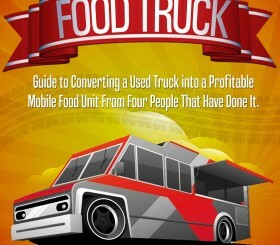 Food Empire POS was designed from the ground up to serve food truck owners. 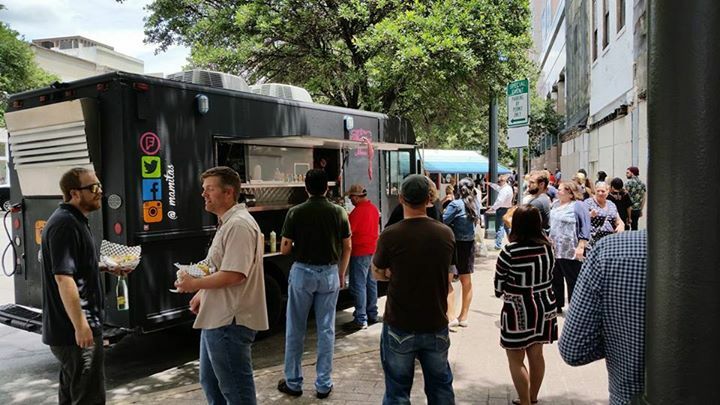 Here are a few advantages to mobile food vendors to make the switch. What’s the best POS system for your food truck? If you’ve ever tried to accept payments in remote locations like fairs or concert events can be held, you know how slow payment processing can be. This can lead to long lines that move through extremely slow and ultimately result in lost sales. Don’t let this happen to you! Food Empire POS ensures you’re able to process payments between 4 – 6 seconds on average. How are we able to accomplish mobile payments so much faster than other options? We install a router on your food truck that’s powered by the Verizon Network. The installation, equipment, and mobile data plan are all included in your monthly flat rate with Food Empire POS. Our goal is to allow you to accept payments faster than anyone else in the industry. When you don’t need to wait on processing slow payments, you make more money. Square has an offline mode that allows you to collect customer credit card information, but if a customer credit card is declined you won’t know until it’s too late when you’re processing payments online at a later time. We give you the same level of mobile data connectivity as an ambulance that’s powered by the Verizon Network so you’ve got world class equipment on your side. This is the top-level of connectivity possible and will keep you accepting payments fast even in the most remote locations. At the time of writing, a mobile data plan is an extra $40 per month with Square. Our back office helps you easily manage your entire operation: track sales and inventory levels no matter where you are. You can view top selling items or review the most profitable vending locations over the past 6 months, year, or whatever time frame you need to help you make better business decisions. We also help you better market your business through email marketing. You can also build a customer email list using Square, but as your list grows so will your monthly bill. For example, if you build a list of 501 reachable emails the price increases to $25 per month. (you will hit this quickly, over 1000 reachable emails $35 per month, over 2000 reachable emails $45 per month, over 4000 you’ll be paying $75 per month with Square and more as you continue to grow. Food Empire POS helps you manage your employees time cards and provides different access levels for employees (managers, cooks, part-time employees). Managers can be provided access to sales data, inventory numbers, and employee time cards. Part-time employees can be provided lower levels of access that allow them accept customer payments and clock-in or out for a shift. Again, there is no additional fee charged with our platform. At the time of writing, Square charges a $5 per month fee, per employee for a similar offering. Ready to to ramp up your marketing efforts? You can create your own loyalty program similar to Starbucks with our platform. Loyalty programs can easily setup using our platforms. Many of our customers create a simple loyalty program where the more times a customers frequent you truck, they get free menu items or some other freebie. You can also create limited-time digital coupons using this platform to drive sales. Again.. This loyalty program feature is built into your monthly expense with Food Empire POS. You’ll need to pay extra with Square to take advantage of loyalty programs. A point-of-sale system or POS allows sellers to accept payments from customers in a variety of ways. Most POS systems allow vendors to accept major credit card and debit payments from American Express, Visa, and MasterCard. Many will also allow alternative payments from ApplePay or even allow you to create your own branded app to accept payments or process gift cards. In short these platforms allow you to accept forms of payment that go beyond cash.